The week of Martin Luther King, Jr. Day, Mark Miller, the Choirs of St. Paul’s on the Green, and the Race & Social Justice Coalition at St. Paul’s on the Green join together to reflect on the history of the struggle for racial justice and acknowledge the importance of continuing that struggle in the face of persisting oppression and inequality today. Through stirring music, powerful readings, and poignant personal testimonies, they will captivate, outrage, and inspire. A reception follows. All are welcome to attend. Mark Miller is a musician, composer, and person of faith committed to social change. 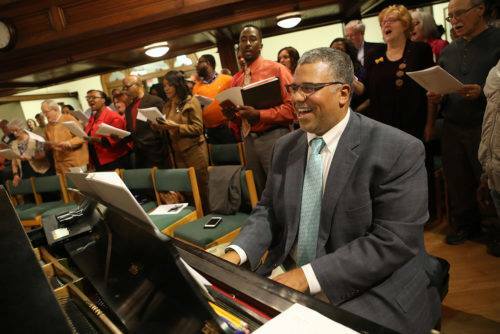 He teaches and leads music at Yale and Drew Universities. For more information, visit http://www.markamillermusic.com/. This event was postponed from its original January 20th date due to expected weather conditions that Sunday. Please join us at our new time!